Bahrain Confidential > Articles > Lifestyle > Dining > Enjoy your heart out at Sofitel Bahrain this V-Day! 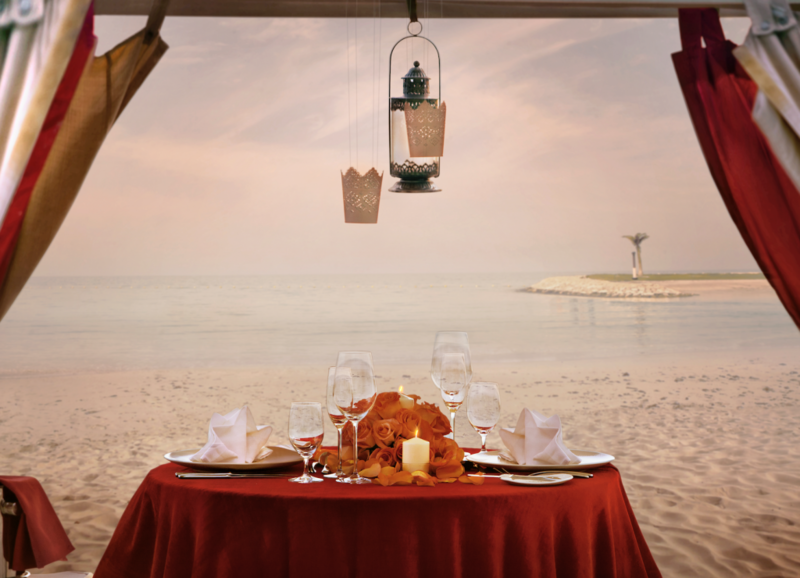 Enjoy your heart out at Sofitel Bahrain this V-Day! Fall in love this month with Sofitel Bahrain’s irresistible offers and promotions! On the 14th February, spoil yourself and your loved one to a breath taking outdoor, candle-lit romantic dinner in your very own Cabana. Delight in the mesmerizing Arabian Sea while a personal butler with a bottle of sparkling to ensure you and your soulmate enjoy a special getaway, full of delightful surprises. Your evening is further made special with a gourmet Valentine’s Day cake to provide you with the perfect ending to your dreamy rendezvous. Reservations for the romantic dinner is open until 12th of February and advanced payment is required. You can also celebrate lavishly with a fine dining Italian experience. Serenade and rejoice your love in Fiamma’s romantic ambiance, designed to enchant your love in the most romantic manner for BD50 net. Surprise your significant other and make their evening truly unforgettable with our deluxe, sea view Luxury Room package for BD135net, inclusive of buffet breakfast and romantic dinner for two in Fiamma. Explore the true meaning of Art de Vivre and escape into a world of love and refined luxury, as you fall in love all over again by the majestic Arabian Sea at the lavish, 5-star French seafood restaurant, La Mer. 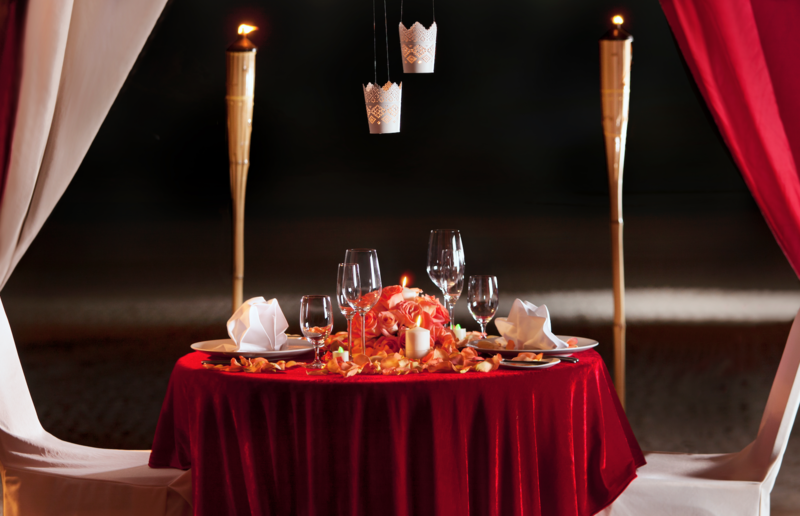 Venture on a wonderland of love and indulge in a romantic set menu for BD50net per couple with grapes. Meanwhile, experience an intimate Mediterranean Valentine’s Day celebration at the prestigious Lebanese restaurant, Pashawat. Enjoy an immersive night intertwined with exotic flavors, as you enjoy the finest selection of authentic Lebanese delicacies. This romantic night is amped up further with some magnificent melodic performances by the talented, Robert, accompanied with mesmerizing belly dancing. Extend your memorable Valentine’s escape and book a Luxury Room overlooking the Arabian Sea with buffet breakfast and dinner for two at Pashawat. 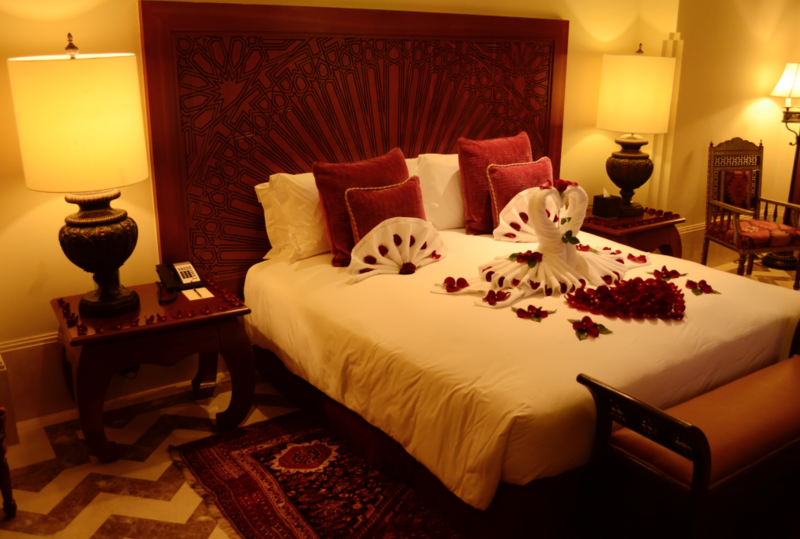 This perfect romantic getaway is available for only BD155net. On the 15th February, celebrate love this season with a Valentine’s themed Red Velvet Friday Brunch. Sink your hearts into the exquisitely prepared culinary masterpieces and the delectable live cooking stations, as you intertwine your appetite to a selection of international flavors from the award-winning 5-star restaurants, Saraya, Fiamma and Rivaaj. Anyone dressed in red, enjoys a loving 25% OFF! The brunch is priced at BD32/36 net with a 50% discount for children from 6 to 12 years. Here’s what you don’t want to miss at The Gulf Hotel Bahrain this February!